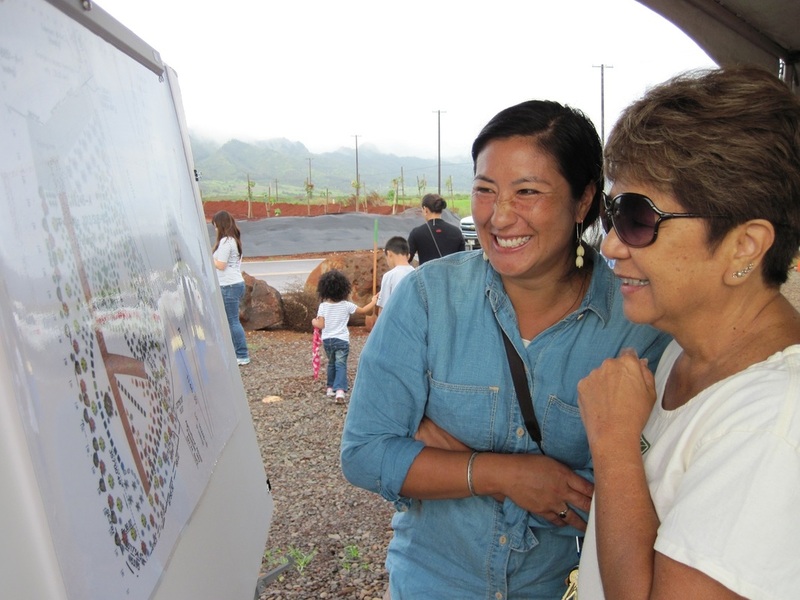 We have the privilege of being part of an amazing transformation of land in the ahupua'a of Honouliuli. 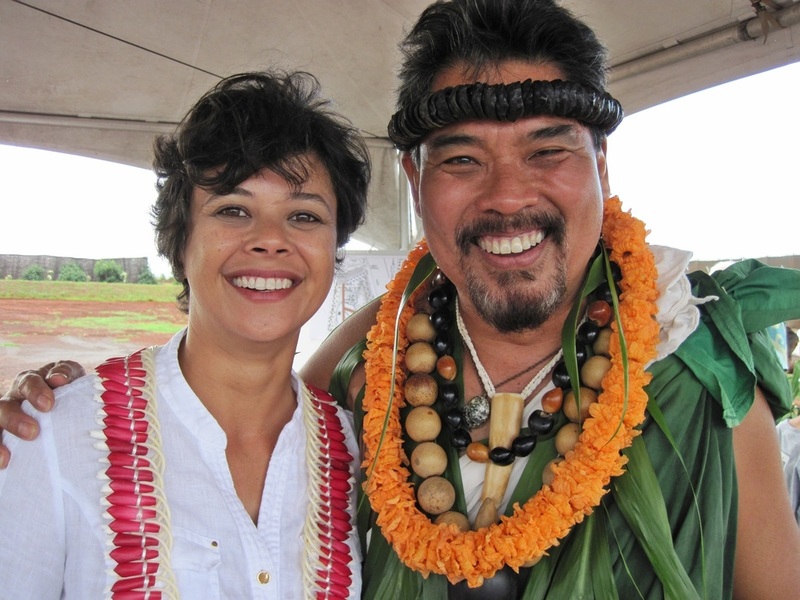 Once an area farmed for sugar, then pineapple, then laid fallow, this roughly 1;.4 acre property now owned by DuPont Pioneer, is turning into a Hawaiian cultural garden, which we call the Mālaola, the living garden. To watch our garden grow, please follow our blog at http://malamamalaola.blogspot.com/ . 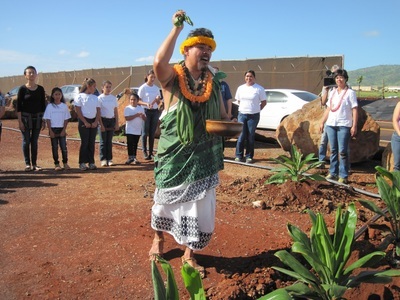 On November 2, 2014, Mālaola (living garden) broke ground on a misty-turned-sunny morning on a farm that will welcome plants important to the Hawaiian culture. In a ceremony officiated by Kahu Samuel ʻOhukaniʻōhia Gon of Hālau Mele, students of Hālau ʻO Kaululauaʻe shared 'oli and a hula honoring fresh water and growth. 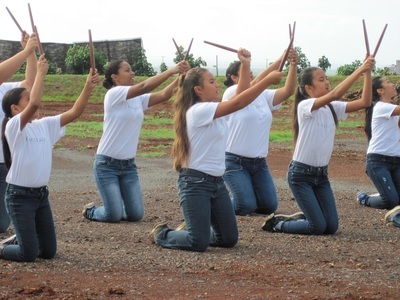 The hālau, which is based at Kapolei High School and led by Kumu Hula Mikiala Kanekoa, will volunteer, under our guidance, to plant more than 600 plants and care for them. These plants are grown in Kapolei High's nursery with the help of students and volunteers. Mahalo to all involved in making this project come to fruition, especially DuPont Pioneer and Hālau 'O Kaululaua'e. And blessings to Mikiala and Sam for their wisdom, guidance, and exuberance!